Hey guys! Happy Friday! 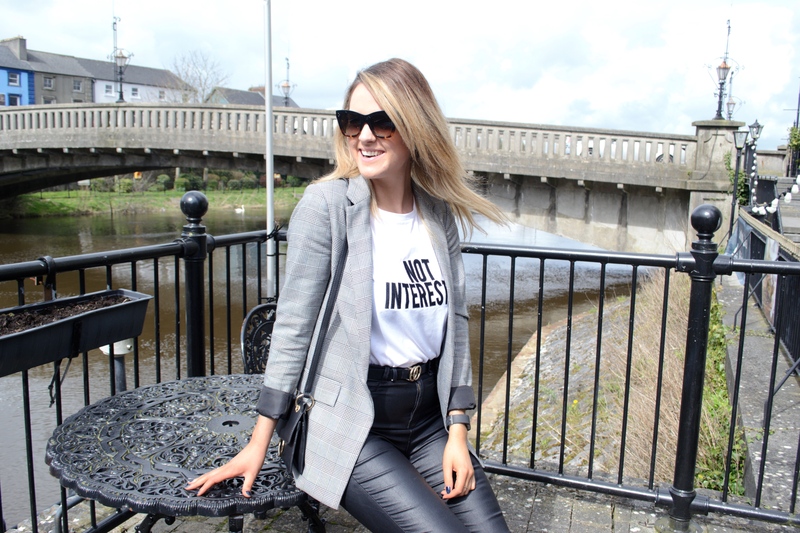 I have had a good few of you asking about what I was wearing in Kilkenny last weekend so I decided to include everything here with links to make life a little easier. 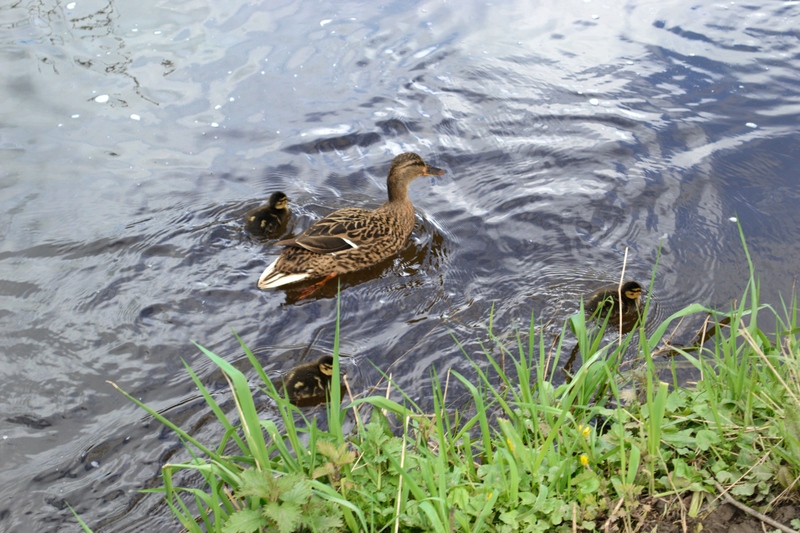 I have also included a bit about what else I got up to over the weekend. Have a scroll through and if you have any other questions feel free to ask away. 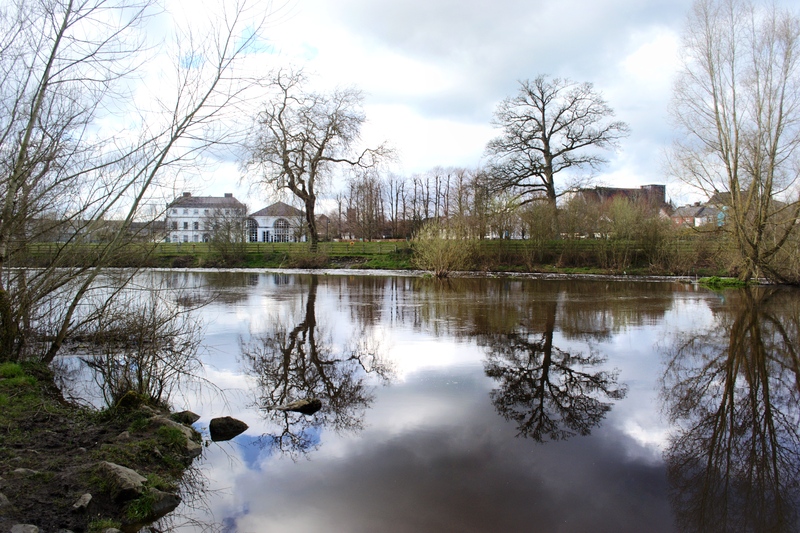 Nirina and I stayed in the River Court hotel which can be found on the banks of the River Nore. 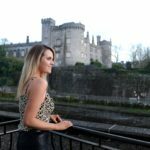 We had the most beautiful view of the Kilkenny Castle from our balcony so naturally, we took a good few shots from there. 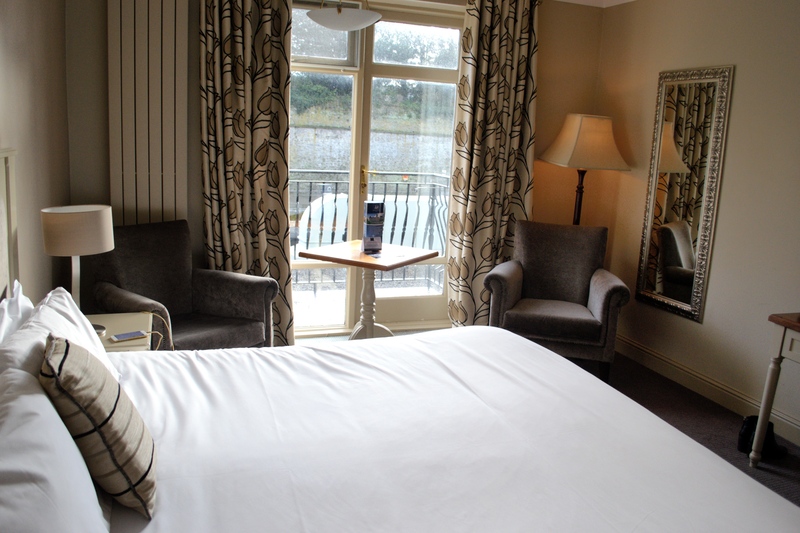 It is located in the centre of the city and is just minutes from the main shopping areas, theatres, entertainment, tourist attractions and Kilkennys Medieval Mile. We spent the weekend running around to various boutiques so it was nice to have a hotel close to the main shopping streets. Our room was really spacious, the bed was so comfortable and we had complimentary wifi. What more could a girl want? Also, they very kindly had a bottle of bubbly and a box of chocolates waiting for us on arrival. It really is the little things. Nirina and I spent two nights in the River Court hotel and I definitely plan on going back again soon. 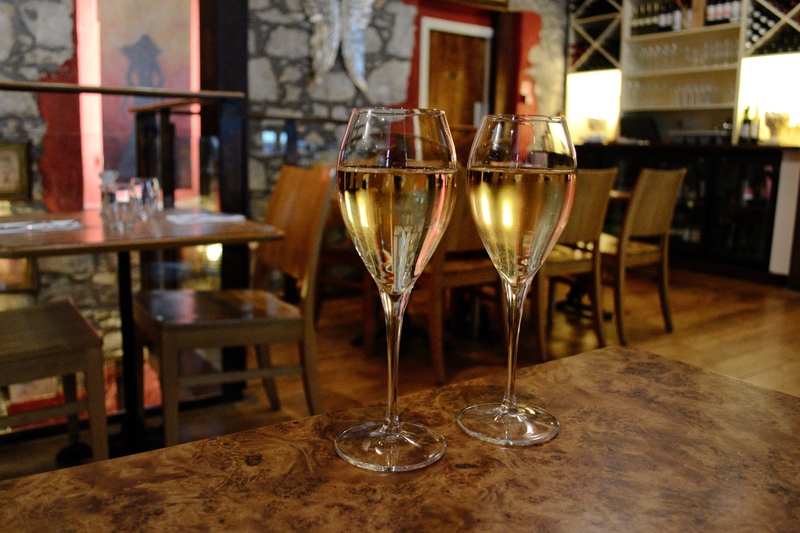 The staff were friendly, chatty and so helpful throughout our stay. 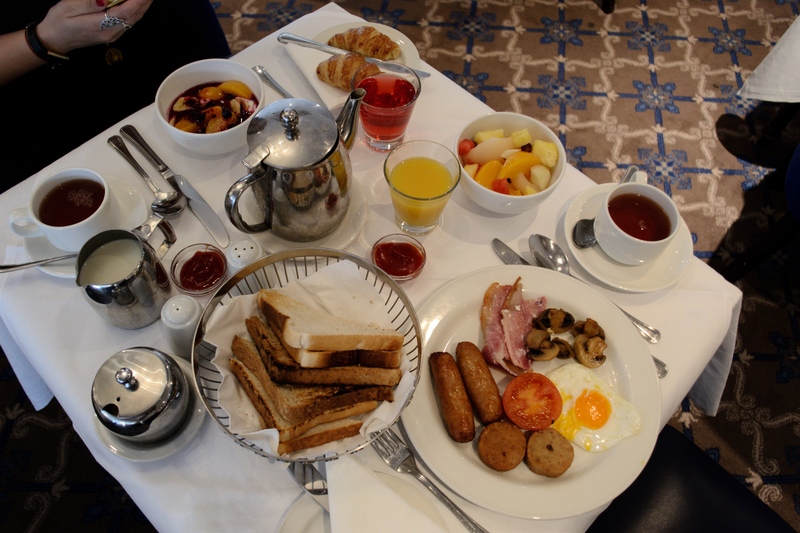 We had breakfast in the hotel each morning and we were spoilt for choice as they had a full buffet. It was a really enjoyable two nights overall. If you’re planning a trip to Kilkenny any time soon I would highly recommend staying here. After we shopped to our hearts content all day Saturday and early on the Sunday, we decided to go for a walk along the banks of the river. I brought my camera with me (as per usual) and I got some nice shots along the way. 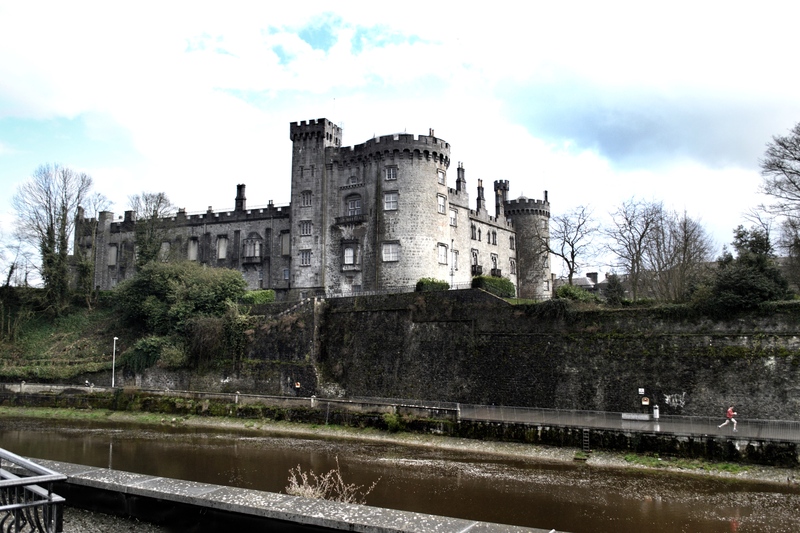 Kilkenny really is a beautiful city and I have yet to be stuck for things to do. 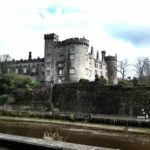 We also walked around the grounds of Kilkenny Castle as well as the city streets and we found some hidden lanes along the way too. 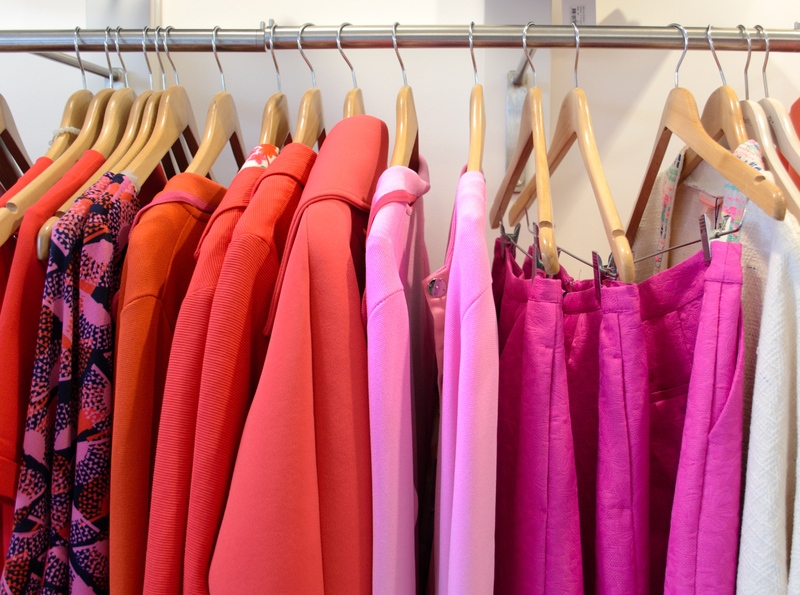 On Tuesday, I put together a list of my favourite boutiques from last weekend. Nirina and I were in our element and we may have gotten a tiny bit carried away on our shopping trip but a little retail therapy never hurts. If you follow me on Instagram and Facebook you will have seen that we popped into a number of places for a browse on both Saturday and Sunday. We were spoilt for choice. 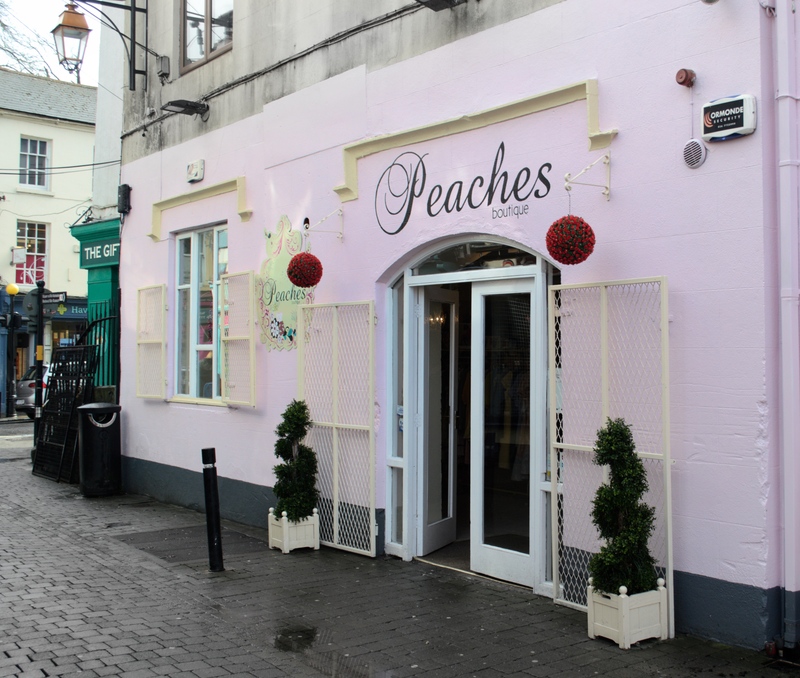 See my Kilkenny Shopping Guide here. 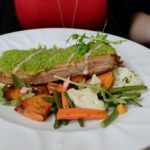 Kilkenny city is by far one of my favourite places for a number of reasons – the food scene is top of my list. 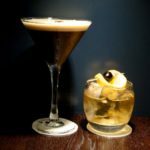 Over the last year, I have lost count of the amount of restaurants, bars and cafes I’ve been to there so I decided to make a list for two reasons. To remind myself of all the amazing places for the next time I visit and to give you some good food and drink recommendations. 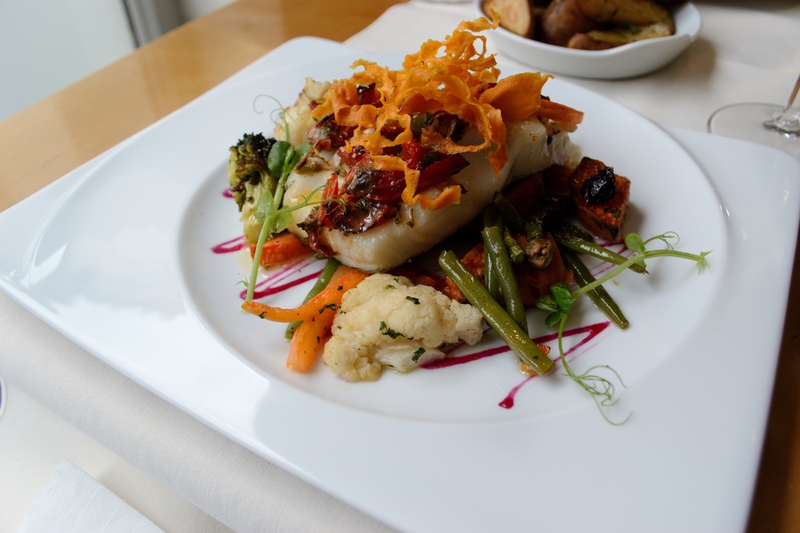 See my Kilkenny Food & Drink Guide here. I absolutely love this biker jacket from V by Very. It is an easy way to instantly dress up your outfits. It has a textured finish, a subtle shine and edgy silver zips. Unleash your inner rock chick! I picked up this top in Penneys a few months ago. As usual, they have a great selection in store and they are all pretty much under €10. Winning! Hit refresh on your denim edit with these beauties. I am obsessed with thesehigh-waist super skinny jeans. They’re a tight fit from hip to hem and they are really comfortable to wear. With their coating adding some serious high shine, luxe appeal they’ll bring plenty of attitude to your wardrobe too. 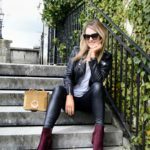 The crossbody bag addiction continues….! I have lost count of the amount I own but I genuinely can’t get enough of them. I love the colour and style of this bag and the top handle really finishes it off. I picked this up from Littlewoods Ireland but unfortunately, they are out of stock at the minute. They do have a great selection of cross body bags in at the minute though. I adore these Burgundy beauties. 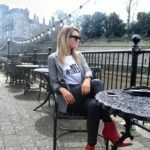 I picked them from iclothing.com before Christmas and they have a few sizes left. They have great selection of boots in stock at the minute. 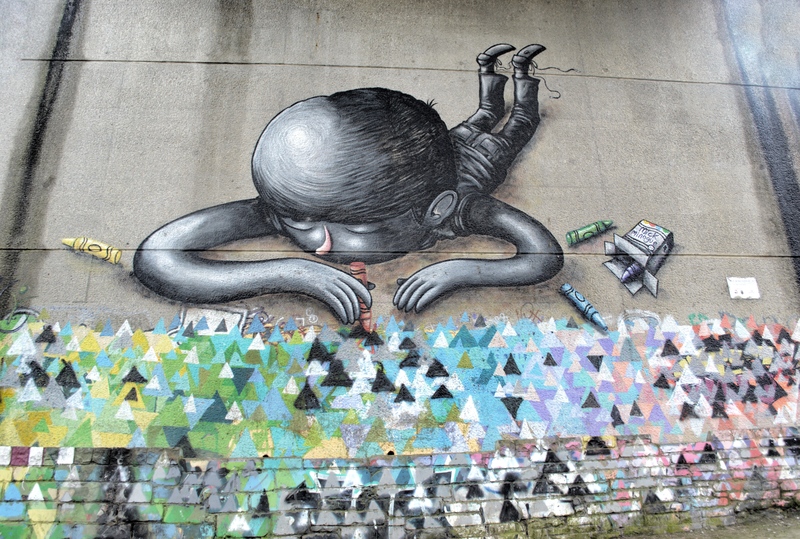 Definitely worth a browse. I’ll let you into a little secret! This cheetah print beauty is actually a skater dress. I decided to tuck it in and wear it as a top because well…why the hell not? Hit refresh on your denim edit with these beauties. Again, I am obsessed with high-waist super skinny jeans. They’re a tight fit from hip to hem and they are really comfortable to wear. With their coating adding some serious high shine, luxe appeal they bring plenty of attitude to your wardrobe too. I picked up this blazer before Christmas and I have been wearing it non-stop ever since. I wear a lot of black and this colour and print compliments all things dark hence I pretty much live in it. This one is no longer in stock but I found one similar. This top isn’t in stock at the minute but I found loads of really cool ones on Boohoo.com. I own about 50 slogan tops at this stage and I am not sick of them yet! Obsessed! Again, I am obsessed with high-waist super skinny jeans. They’re a tight fit from hip to hem and they are really comfortable to wear. With their coating adding some serious high shine, luxe appeal they bring plenty of attitude to your wardrobe too. Yes! Another cross body bag. I picked this up at the Littlewoods Ireland V by Very SS18 Show a few weeks ago. It’s quite small so it is handy for running around. You can never go wrong with a ‘LBB’ (little black bag). These stiletto heel ankle boots are the love of my life. My sister bought these for me over Christmas AND they are now on sale so you’re in luck. The heel isn’t too high which is great and they are pointy so what’s not to love. You can’t go wrong with a pop of colour. There you have it – the latest on my little escape and of course, my style diary. 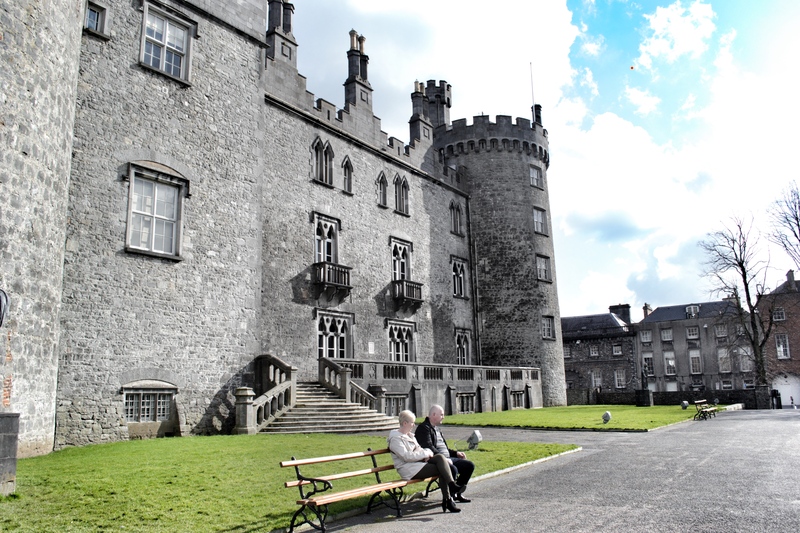 A huge thank you to Kilkenny Tourism for making this a trip to remember! I still have a list of places I want to visit so I will definitely keep you posted on those.